This is a reversal candlestick pattern which has two candlesticks. This pattern claims the name “Bearish Engulfing pattern” because the second candle in this pattern covers the first candle completely. The sellers expect a trend change in accordance with psychological and fundamental factors when the pattern forms at the peak of an uptrend. The sellers initiate pushing the commodity prices down to form a second candle thereby creating selling pressure which indicates a possible trend change. This pattern claims the name “Bullish Engulfing pattern” because the second candle in this pattern covers the first candle completely. The buyers expect a trend change in accordance with psychological and fundamental factors when the pattern forms at the peak of an uptrend. The buyers initiate pushing the commodity prices up to form a second candle thereby creating buying pressure which indicates a possible trend change. The Bearish Engulfing pattern serves us as an entry point. 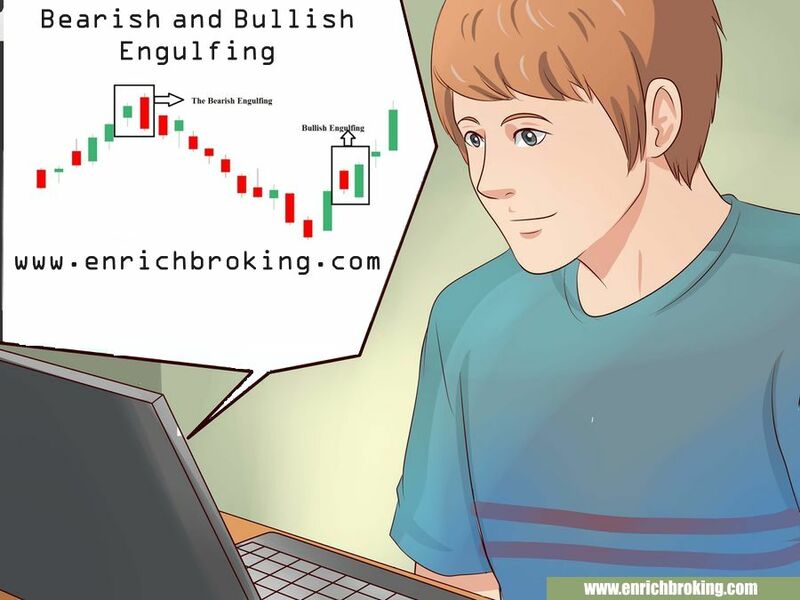 The Bullish Engulfing pattern serves us as an exit point.